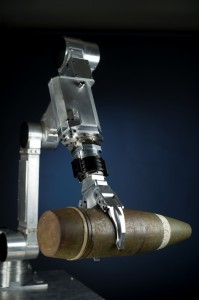 Arm manipulation is a niche within defense -- a large niche -- as it is in robotics in general. Capitalizing on research and product development to meet the military's high torque, heavy payload requirements, RE2 is not only a provider to the military but is beginning to commercialize those special capabilities into non-defense applications as well. 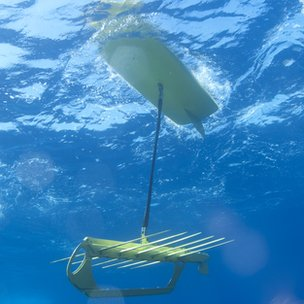 Liquid Robotics has developed a unique wave glider for science, oil and gas exploration, oil production management, environmental and spill detection and a myriad other applications using only renewable energy. It has blossomed into a very promising start-up company with a broad market: any business which needs to monitor, measure, surveil and explore our oceans. Liquid has recently created two new entities to handle its success: a joint venture with Schlumberg and a new Defense/National Security subsidiary. Liquid will soon be offering a new business: ocean data as a service for those who don't wish to own and operate their own wave gliders. Clients specify their data needs, geographic areas and duration and Liquid Robotics provides the data. The Wave Glider development was the result of a single man’s passion for whale songs. Joe Rizzi, Chairman of Jupiter Research Foundation, had a love for the sounds of whales as they migrated along the coasts of Hawaii to Alaska. He wanted to capture their songs “live”. Not an easy task -- to develop a device capable of capturing the pure sounds of the whales and stay out at sea for extended periods. After a few years experimenting, Joe enlisted Roger Hine, a mechanical engineer and Stanford University robotics expert, to help develop an unmoored, station-keeping data buoy. It was from this partnership they developed the first Wave Glider. Data collected by the deployment was posted on a public website for all to see. News spread and oil, gas and military executives saw a fit of Liquid's gliders with their oceanographic needs. Schlumberger, an international supplier of technology, integrated project management and information solutions for the oil and gas industry, took an interest which led to their 2011 funding and 2012 joint venture with Liquid. 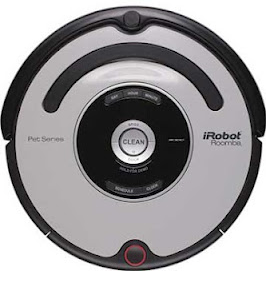 Colin Angle, CEO and co-founder of iRobot, has consistently held that we are going about developing the robotics industry wrong: “The idea that a humanoid robot with arms would push a vacuum cleaner is an image that has set many expectations and, in some ways, has set back the industry,” when, by just rethinking what needs to be done, we can build a product that satisfies a specific need (vacuuming), as iRobot did with their Roomba line of robotic vacuums. "I used to think that I was a self-respecting high-tech entrepreneur, but it took me becoming a vacuum cleaner salesman to actually have some success for my company, my investors and myself." ** Portions of this article have been excerpted with permission from: "It takes the military to spawn robotics."